What would you give to know everything that can be known? For the German scholar Heinrich Faust, the answer is, everything. 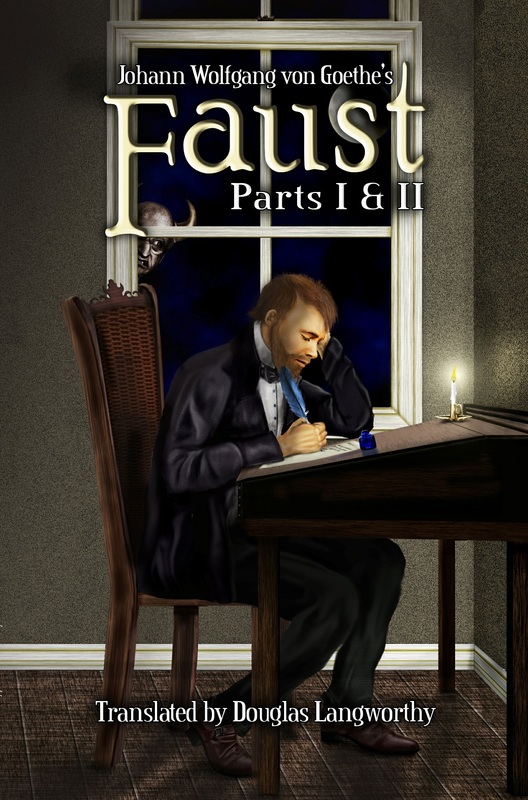 In Goethe’s dramatic epic poem Faust, perhaps the best-known version of this age-old legend, Faust pledges his soul to Mephistopheles if—and only if—he is satisfied with the knowledge he attains. Following the Dedication, Prelude in the Theater, and Prelude in Heaven, the action in this sprawling drama moves rapidly from scene to scene—including a witch’s kitchen, a dungeon, an imperial throne room, and, ultimately the scene of Faust’s burial. Along the way, we are treated to a variety of characters, most notably Faust himself and the sly and witty Mephistopheles. Behind the often bantering dialogue lie serious metaphysical questions on the nature of temptation, the struggle of good and evil, and humankind’s incessant striving for a rightful place in the universe. Written over a period of some three decades, Faust is a drama of epic proportions: theatrical productions of the uncut two-part text can take more than 20 hours. In this new translation, commissioned by the Target Margin Theater and produced in 2006 at the Classic Stage Company in New York, the play was presented in two three-hour sections. In its review, The New York Times praised “the lucid and direct language” of Douglas Langworthy’s translation. Indeed, bringing a modern sound and sensibility to Goethe’s poetry, Langworthy has created a stage worthy rendition of a major literary classic.